Mahogany corner cabinet. 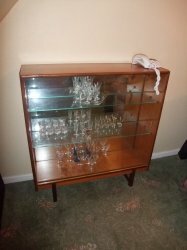 Used mainly to store items and display ornaments or photos. Quick sale.